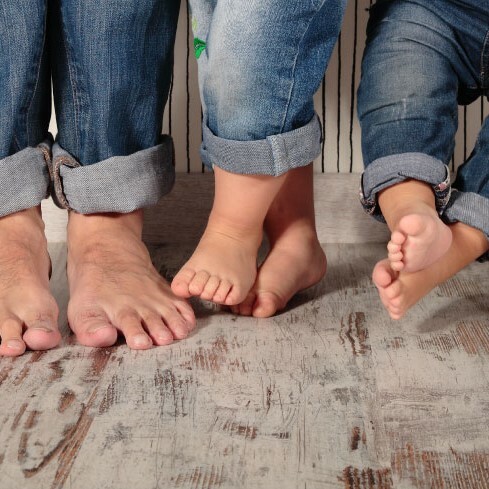 What is heel pain in children? Heel pain in children is often referred to as Sever’s disease or calcaneal apophysitis. It is extremely common, especially in children aged 8–15 years who are very active. It usually develops just before puberty. Sports that involve running and jumping can increase the risk of developing this problem. Children may complain of pain during and/or after activity, but the pain usually resolves by the next morning. In more severe cases, the pain may cause a child to limp. One or both feet may be affected. The heel pain is really the result of the bones in the lower leg growing faster than the muscles and tendons. This causes tightness, which irritates the growth plate and causes it to become inflamed. The impact associated with the heel contacting the ground when moving also contributes to this.